Our collection of Accessories are the ultimate in comfortable and carefree living.They will enhance any of our pieces while completing your conversation or dining group. 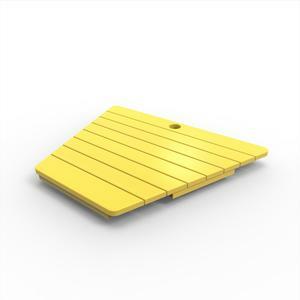 Beautifully designed, available in many brilliant colors and weather resistant, they will serve you well for years to come. 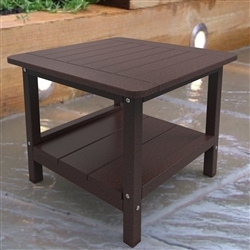 Our well designed and constructed 15" x 19" End Table has graceful and clean lines. Perfect for a drink or a few flowers. Its lower shelf provides the ideal place to keep a book or a magazine. Our well designed and constructed 24" Square End Table is perfect when you need a little more space and want something to gather around. 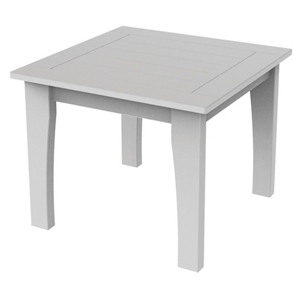 Our Maywood 25" Square End Table will complete your Maywood seating group beautifully. Sturdy and well-made it will last for years and provide perfect service. Our Maywood 26" x 48" Coffee Table will complete your Maywood seating group beautifully. Sturdy and well-made it will last for years and provide perfect service. 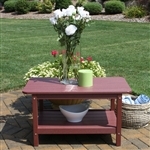 Our 22" x 36" Coffee Table will complete your seating group beautifully. Sturdy and well-made it will last for years and provide perfect service. 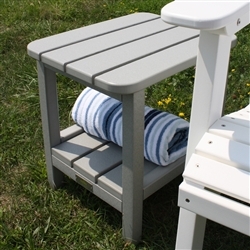 Our Contour Footstool will make your Malibu Adirondack Chair even more comfortable and it looks beautiful with its sinuous lines. 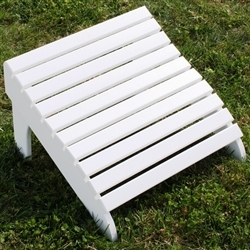 Our Footstool for Adirondack Chairs is a classic with traditional lines that adds to the comfort of our Malibu Chairs. 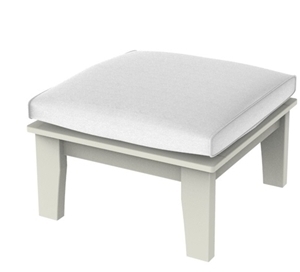 Our Maywood Ottoman is the perfect way to complete your Maywood seating area. Our Tete-a-Tete for Yarmouth Chairs of any height allows you to put two chairs together with a table in between to save space and provide more intimacy. Our Tete-a-Tete for Yarmouth Adirondack Chairs allows you to put two chairs together with a table in between to save space and provide more intimacy. Our Tete-a-Tete for Hyannis Chairs allows you to put two chairs together of any height with a table in between to save space and provide more intimacy. Our Malibu Cushion Box is the perfect place to store your cushions easily and with style. Its slatted sides keep the rain out and allows air to circulate. 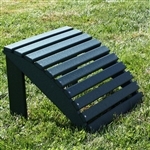 Our Malibu Outdoor Furniture comes in a variety of exciting colors that can be mixed and matched as you like. 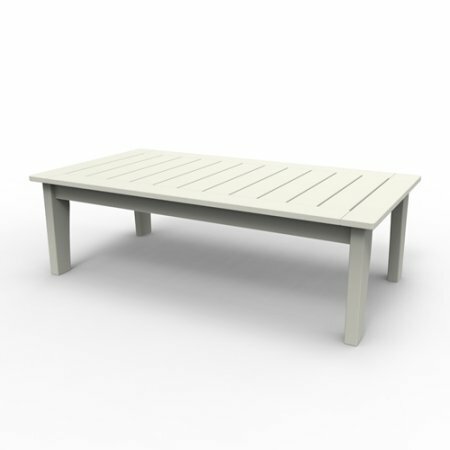 Made from 100% Recycled High-Density Polyethylene (HDPE), our furniture resists weathering and is virtually maintenance free, providing years of care-free beauty in your garden or on your deck. Not only is our furniture beautiful and durable, but it helps our environment. 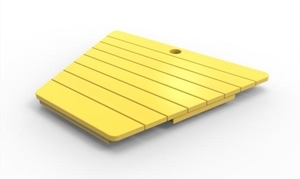 The precisely machined components are easily assembled with 316 marine grade stainless steel hardware. All the Malibu Outdoor Furniture here at Cape Cod Treasure Chest is constructed of the highest grade materials by a diverse workforce with over forty years of experience producing these stunning complements to the landscaping of your outdoor spaces.